The next set of photographs are undated but they were certainly taken very early in the 20th century. 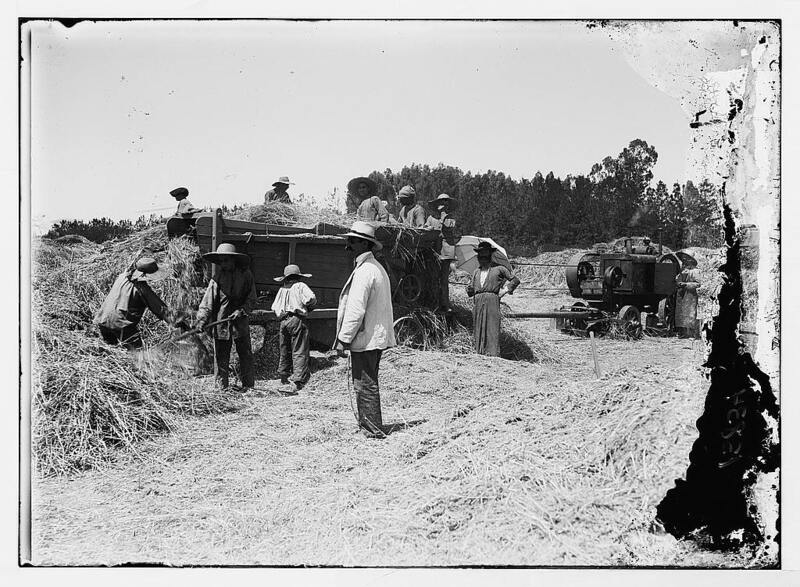 According to the Library of Congress collection, they show "Harvesting at a Jewish colony." 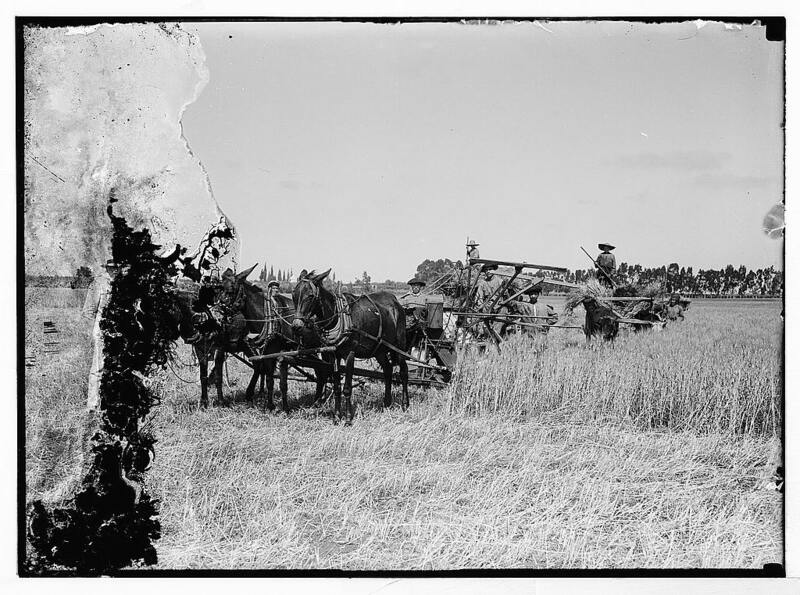 These "colonies" were usually collective farming communities built on land purchased by Jewish philanthropists or the Jewish National Fund. 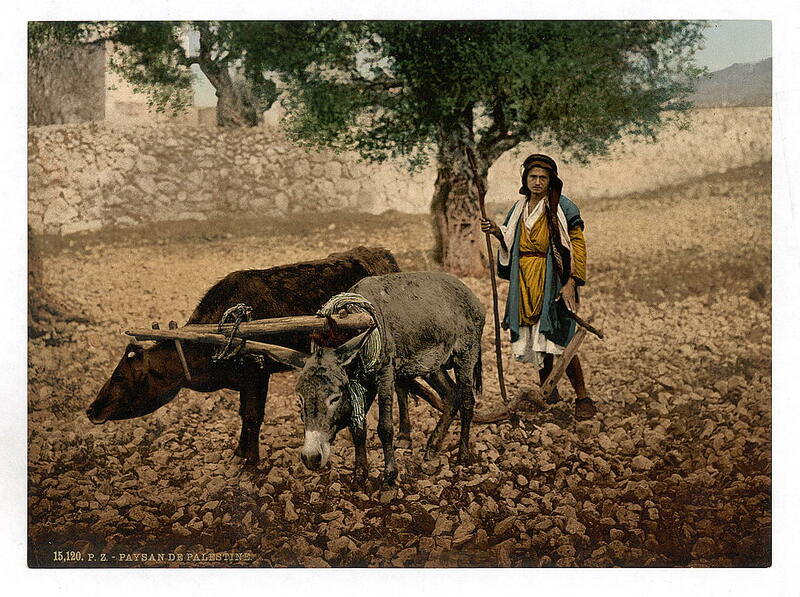 Harvesting in a "Jewish colony"